My name is Klotz Daniel, I am born on 1950. My licence date is 1969 for the class 3 and 1972 for the class 1. After my HF traffic and VHF/ UHF terrestrial activity, I have interested me by the space traffic and my first satellit qso was the 31 October 1991 and since this date, I have arround 1500 sat qso with AO-7, AO-10, AO-13, AO-16, AO-40, AO-51, FO-20, FO-29, VO-52. I have also often connected the MIR Station on packet and SSTV and the ISS on APRS or packet. 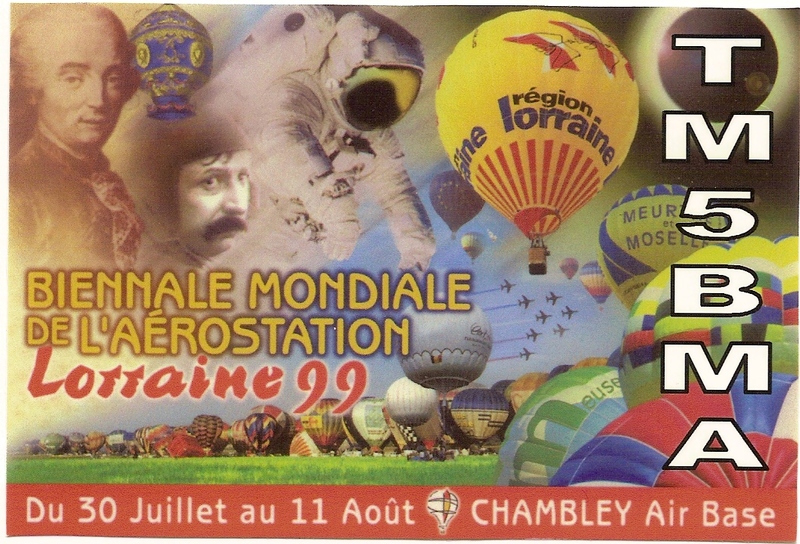 I have organised a special contact on 08/08/1999 during the Mondial Air Balloon on Chambley (balloon fiesta) with the MIR team and the french astronaut Jean-Pierre Haigneré (FX0STB). The call was TM5BMA. At the present, my radio installation is an Icom IC-910H for 2m, 70 cm and 23 cm with a downconverter for the reception on the 13 cm. I use the satellit tracking program SatPc32 with a CAT system for the automatic doppler correction. My antennas are 2 x 6 el X-Quad for VHF, 19 el Tonna on vertical polar for UHF, helix antenna for the 1200 MHz and a 80 cm dish with helix feed for the 2400 MHz. This antenna system is steered by two rotors and a home made interface controls the positions. I have contacted Dimitrios the first time the 21 January 2008 on the VO-52 satellit.